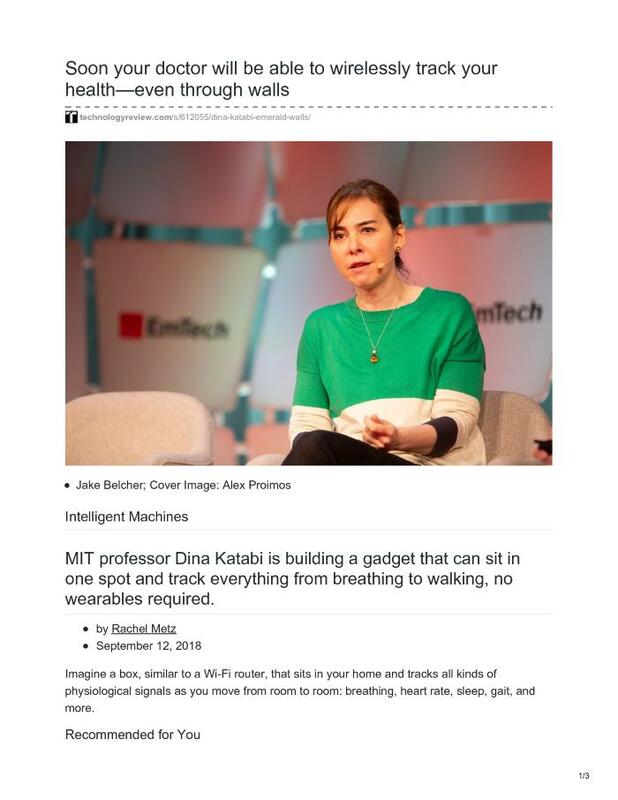 Imagine a box, similar to a Wi-Fi router, that sits in your home and tracks all kinds of physiological signals as you move from room to room: breathing, heart rate, sleep, gait, and more. Dina Katabi, a professor of electrical engineering and computer science at MIT, built this box in her lab. And in the not-so-distant future, she believes, it will be able to replace the array of expensive, bulky, uncomfortable gear we currently need to get clinical data about the body.